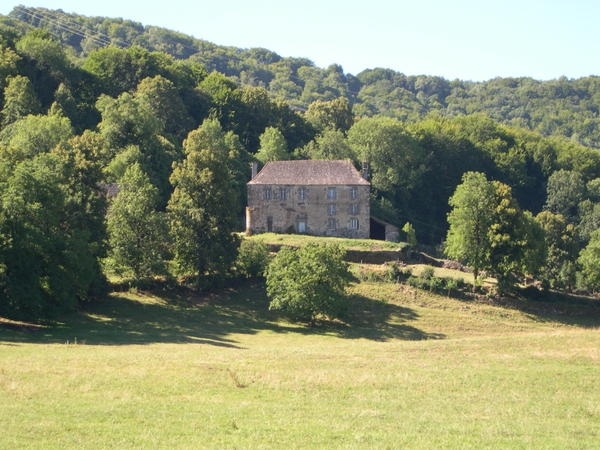 Notes: Château d'Estang is a mansion located in the Cantal Marmanhac. Current Château d'Estang is a rectangular body building of two floors and five bays which was built in the seventeenth century on the foundations of the building of the fifteenth century. The main facade is exposed to the east. The entrance is through an arched portal basket handle, is framed by two columns with Ionic capitals involved. According to Bruno Phalip1, the castle of the fifteenth century was flanked by four circular buttresses that are always present on the left side of the building and indicate that this part exists on two levels with the door to the north. Castle of Estang was listed historic monument March 21, 2005.